This is the first of a series of photos which I will post here. 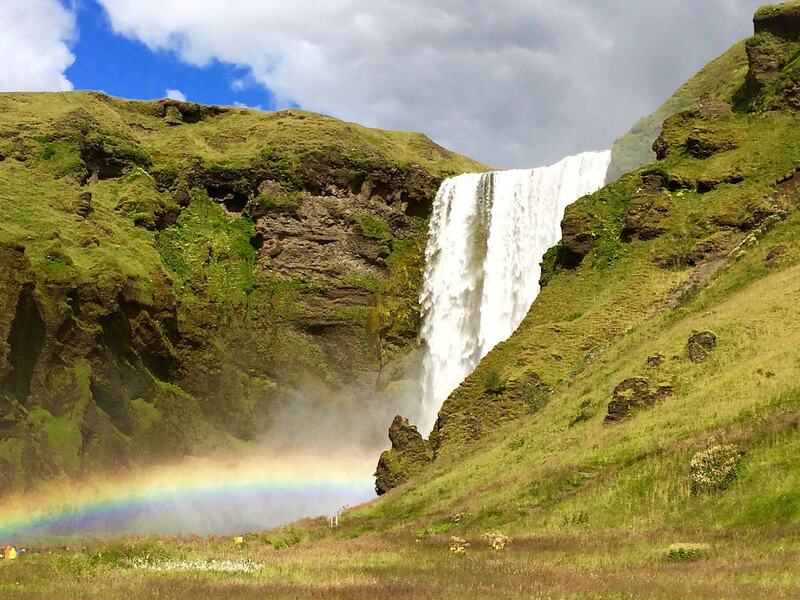 This is a photo of the Skogafoss waterfall taken by my wife Linda using a smartphone. I like waterfalls, more than that, this one has a rainbow shining at the bottom. You can say the photos are taken in almost real time – with a one day time lag. Over the rainbow . . . . is the waterfall . . .
Picture is awesome, but can’t believe the picture was shot by a smartphone. These devices are so well-developed, probably one day we don’t need a separate camera anymore…. I suppose not too difficult to see them both together as the air nearby contains a lot of water particulars which help to diffract, creating the rainbow.